Two of the stalwarts of Killala St Vincent de Paul, Phil and Grace Munnelly were presented with medals last Friday night for twenty five years of service to the organisation at the opening of Vincent's Living in Ballina. Community organisation members, volunteers and supporters of St. Vincent de Paul attended the official opening of Vincent’s Living in Ballina on Friday night last. Area President Kieran Walsh welcome all, outlined the work of the organisation, thanked all volunteers, donors, customers and all organisations who assists St. Vincent de Paul in every way. Gemma O’Malley of St. Vincent de Paul gave a brief history of St. Vincent de Paul in Ballina and lauded Leo Loftus’s involvement with the society. 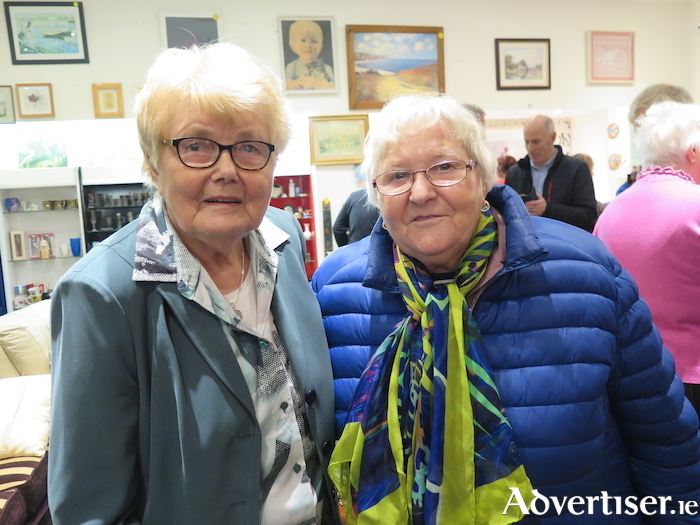 Many of the Loftus family who attended heard of the pivotal role played by Loftus' in the developing of St. Vincent de Paul in Ballina and that he is one of the longest serving members of St. Vincent de Paul having joined in the 1950’s. Bishop Fleming praised the work of St. Vincent de Paul and thought it very appropriate that Leo Loftus was being recognised for his long-dedicated service. He blessed the premises followed by the official opening by Mary Loftus who addressed the gathering on behalf of her husband Leo.